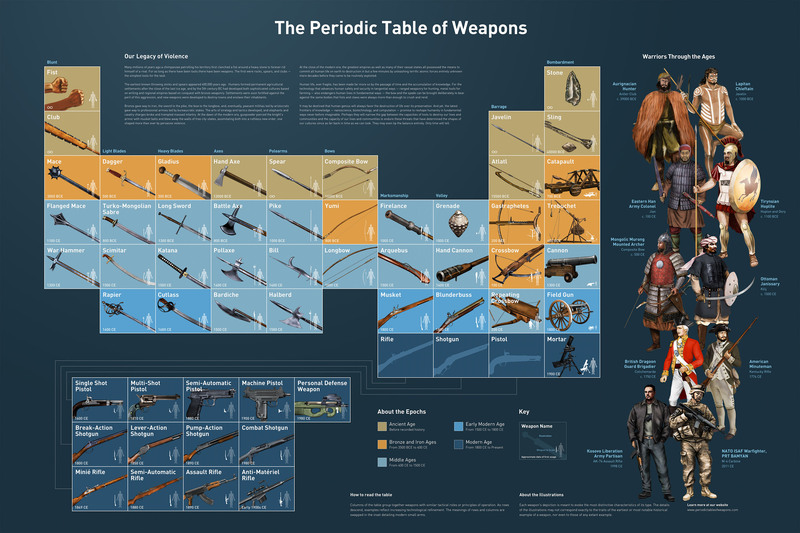 The Periodic Table of Weapons from Verge Studios details humanity’s legacy of violence in beautiful, hand illustrated detail. Starting with fists and rocks in prehistoric times to modern small arms and rifles, each entry in the table is depicted in gorgeous detail alongside classifications, sizing, and approximate year of development. The poster also features historically accurate depictions of warriors from different regions and eras, both ancient and contemporary.